If you’ve recently purchased a new office building in Singapore, or are in the planning stages, you may be planning an office plumbing system. Perhaps the current plumbing system isn’t good enough for your office’s needs, and you need to upgrade it, or you need to add a new plumbing system altogether. The truth of the matter is that there is a great deal of consideration that goes into an office plumbing system. For starters, you may need to research any construction permits required. 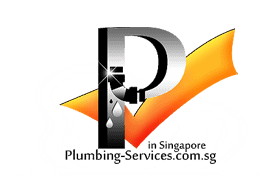 Singapore law also requires that only the services of licensed plumbers be contracted. So before you ring up a plumbing service, do your research and make sure they have the necessary plumbing licenses to operate in Singapore. After you’ve made sure all the legal aspects are covered, there are several ways to approach the job. This article will offer several tips and scenarios that you must consider when planning an office plumbing system in Singapore. When you contract a licensed plumber to add an office plumbing system, you need to be ready to answer questions the plumber will have. The plumber will be able to offer you advice and work with you to come up with blueprints for the plumbing system. One benefit of Singapore is that you do not need to consider the possibility of your plumbing becoming frozen, due to the lack of a cold winter in Singapore. However, Singapore is still prone to certain natural disasters, such as flooding. This is an important thing to consider when planning your office plumbing, and something that needs to be discussed with your plumber. When the surface water increases the weight of the soil, this will put a considerable amount of strain on any underground pipes. As the ground shifts, underground pipes can actually crack or become pulled apart, due to the increased stress. When this happens, the inside of your office can become flooded, as well as any areas where underground pipes are connected to the main sewage lines. Discuss with your plumber a schedule for regular maintenance, and stick to it. Because septic tanks are typically located underground, they are at an increased risk during flooding. This may lead to drainage problems when the septic systems become unable to handle any excess water. Outdoor drains are built to handle only a certain amount of water before they become overwhelmed. When these drains are flooded with amounts of water and debris higher than they can handle, this can cause issues such as pipe clogs inside your office building. Even though Singapore can be a country affected by typhoon weather and natural flooding, there are various approaches to get ready for it. For one, you will need to consider a safe place to store the considerable number of gadgets, furniture and whatever else that may be harmed by the water. You can have these put away in a storage closet, or try and quickly locate these items to higher office floors if possible. If there is a typhoon or flood warning, you will need to temporarily close down your office building. Having floodwater in an area with a high amount of voltage, such as a typical office building, can pose a major fire hazard risk. It also puts your workers at risk. If there is indeed flooding damage after a typhoon, you may need to keep your office closed until necessary repairs are made, to prevent exposing your workers to harmful sewage materials. In the event that you are going to add plumbing to an office that belongs to a larger complex, you may need to consider the needs of the other building tenants. As a rule, the primary water supply to the office building must be shut off all together for the work to be completed. In the event that this ends up being the situation, you should counsel any other inhabitants in the office before beginning construction of your new office plumbing. Another approach to take would be to do the repairs throughout the weekend. Try to consult the other building occupants so you can determine an ideal time to begin the construction phase of your plumbing. In the event that you are going to add an extensive plumbing system to your office, you should verify that the plumber has enough space to work. It would be ideal to shut down your office during the plumbing construction. Your plumber may become frustrated at needing to re-arrange office furniture or having to ask your office workers to move their desks. At the point you are ready to begin laying down your new office plumbing, you may be obliged to supply your plumber with some of the equipment. For example, funneling and taps may not be provided by the plumber. It is vital to discuss what sort of equipment is provided by the plumbing company, if any, and what equipment you will need to purchase. To avoid needing to do this, you could work with a plumber who will purchase all of the necessary equipment on your behalf, provide you with the receipts, and afterward incorporate the material expenses in their final bill. However, even if that sounds feasible, you should still consult with your plumber beforehand, to avoid any unexpected yet necessary purchases. 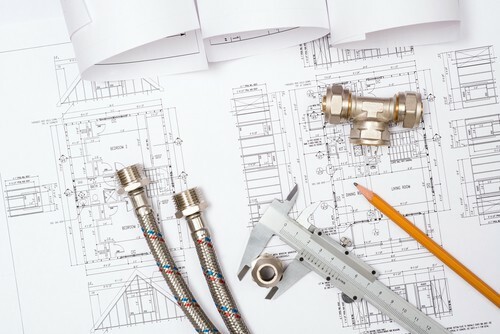 Planning the construction of office plumbing is not a difficult task, it just requires patience and a bit of foresight. 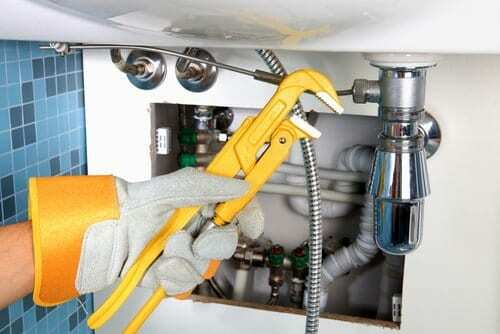 Because the country of Singapore requires that plumbers be licensed and hold the necessary permits, you can trust your plumber to be experienced and knowledgeable, and provide you with the best possible advice. It still helps to be prepared however, and to have emergency plans in case of significant damage from typhoons and flooding, which typically affect Singapore from the month of July until November. So schedule extra maintenance during these months to ensure that damage will be minimal in the event of natural disaster, and you should be fine.